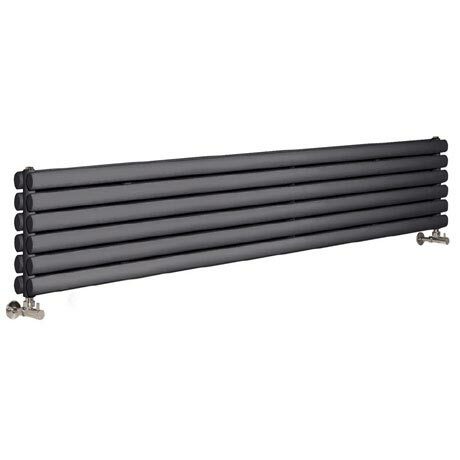 The Hudson Reed Revive Horizontal Double Panel Designer Radiator with Brackets. Bring a stylish simplicity to any room with the revive designer radiator. Whether you show it to it's advantage in a vertical setting, where space is at a premium or have a more conventional area for your heating, Revive offers the perfect focal point. Comes with Revive Horizontal Radiator Brackets. This design will fit your bathroom, kitchen and your dining room or living room. Comes with complete set of fasteners (screws etc ....) For a horizontal installation.